Here are 10 ways you can nurture your child's love for sports. How are you doing when it comes to nurturing your child’s love for sports? There are so many reasons that youth sports and physical activity are good for your child. I don’t think you need convincing of that. Some of you have kids that absolutely love sports and can’t wait to head out the door to practices and games. Others of you have kids who are just testing the waters and do not yet know if they love to play. So whether you are encouraging the passion that is already there or hoping to light a spark of sports love in your child, here are a few ways you can fan the flames of desire for sports. Play with your child. Just for fun. Don’t turn it into a coaching session. Shoot hoops, play catch–enjoy yourself! Avoid over-scheduling. Give your child plenty of free time to follow his own interests outside of sports. Focus on efforts, not outcome. Praise your child for her hard work, not on the number of points she scored. Focusing on her stats will cause her to do the same and takes her mind off the process and the fun in the process. Let your child choose the sport. And let him try different sports. Eventually he will settle on the ones he really likes. Get to know others team families. Have barbecues or ice cream outings that allow the kids to have fun outside of sports. Be sure your child has time to play off the field. Let him just be a kid!Research shows that unstructured playtime — when kids decide what to do and make up their own rules with their friends — helps children learn the social skills they need to become adults who know how to cooperate and get along with others. Don’t force sports, but do push physical activity. In his article Adults Are Thinking Too Hard About How To Make Youth Sports Fun, Bob Cook says that “if there’s a place for shoving a plate of sports in front of kids hungry for something else, I would suggest that a well-run physical education class or school intramural program would be better received (and cheaper for parents, certainly) than keeping kids playing in a sports environment they don’t enjoy.” Bottom line: organized sports is not the only way to get your kids active. Give your child ownership. Let youth sports remain youth sports. John O’Sullivan, from Changing the Game Project explains the importance of letting kids have ownership in youth sports: Millions of kids leave sports and look for a place where their every action and every mistake is not scrutinized by an adult. That is not to say there is not a place for coaching or teaching; but good coaching does not take away autonomy. If you doubt this, then ask yourself “Why does the average teenage boy play 17 hours of video games a week?” A big part of that why is there is no one standing over his shoulder critiquing every move, and demanding that he entertain them. Allow your child the freedom to make mistakes. You don’t like your boss hounding you about mistakes, do you? Working for someone likes that probably makes you feel like quitting. Your child feels the same way. Yes, she should learn from her mistake. No, she does not need to be reminded over and over. Don’t become a slave to sports. Even when you feel like you are being ruled by your child’s busy sports schedule, you can still be intentional about not letting it rule your entire life. Be sure you leave for other things in your family’s life besides sports. Talk about other topics at family dinner. Recognize and applaud your child’s interest in non-sporty things. If your child choose not to play sports, that’s okay. There’s plenty of ways to be active and get exercise! Find what works for your family, what your kids love, and get moving! 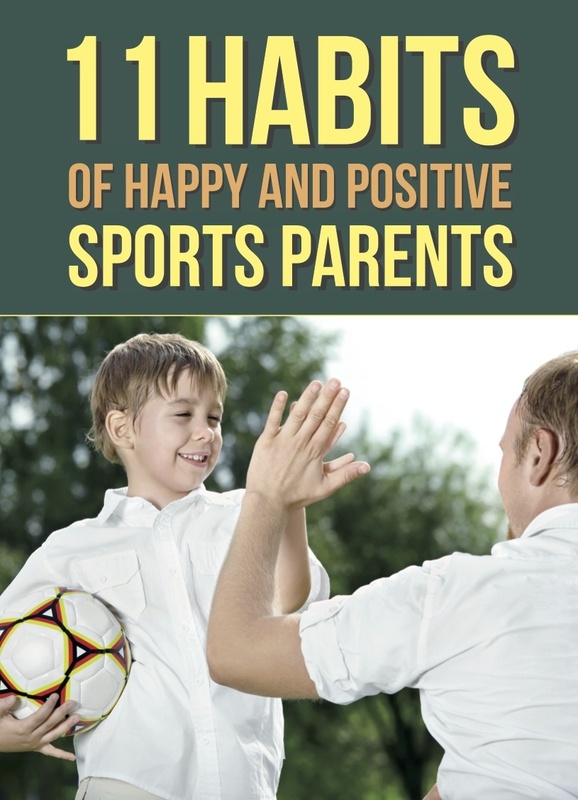 And one other thing that WILL make sports more fun for your child is having a parent who’s established some very positive habits. Have you? Your habits will determine your child’s character. 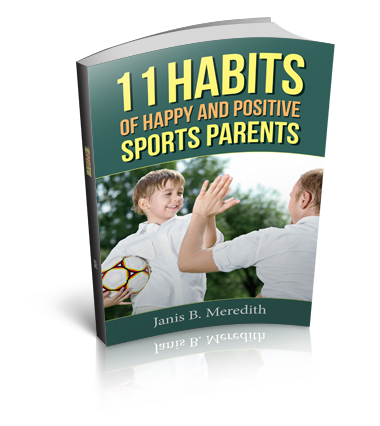 My new book guides you through the 11 habits you must have to give your child a positive youth sports experience.